Following last week&apos;s preview of the "University Blue" Foamposite One dropping in February, today we&apos;re getting a look at their crimson counterpart. 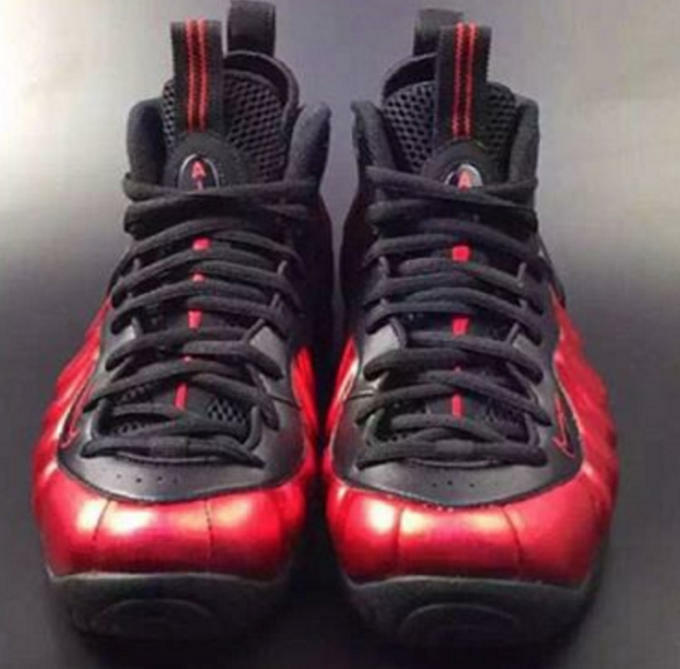 Switching to the Foamposite Pro model, this "University Red" colorway should look familiar for a few reasons. 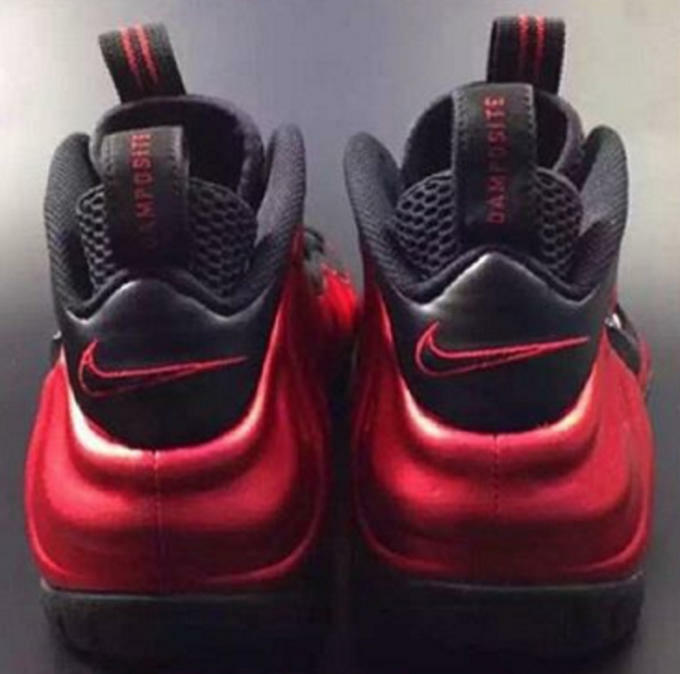 For starters, a similar "Varsity Red" Foamposite Pro released back in 2002, although the red shade on those wasn&apos;t quite as metallic as the 2016 version. 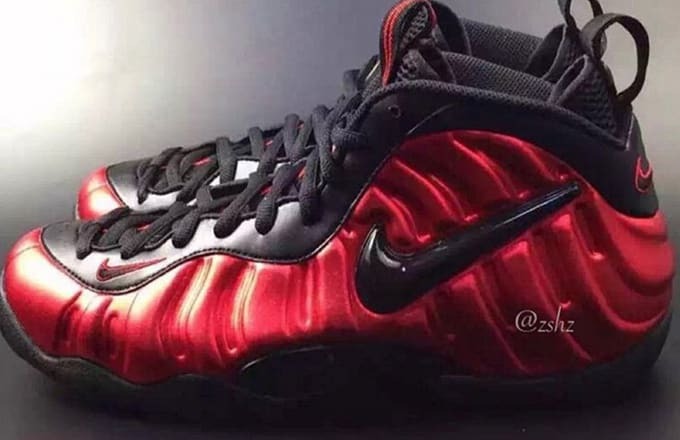 Then, in 2012, there was a "Metallic Red" Foamposite One, and this new pair appears to take a few cues from both sneakers. Built around a glossy Foamposite upper, these are finished off with a black leather eyestay, a solid black outsole, and a black Nike Swoosh that separates these Foam Pros from their Foamposite One cousin. 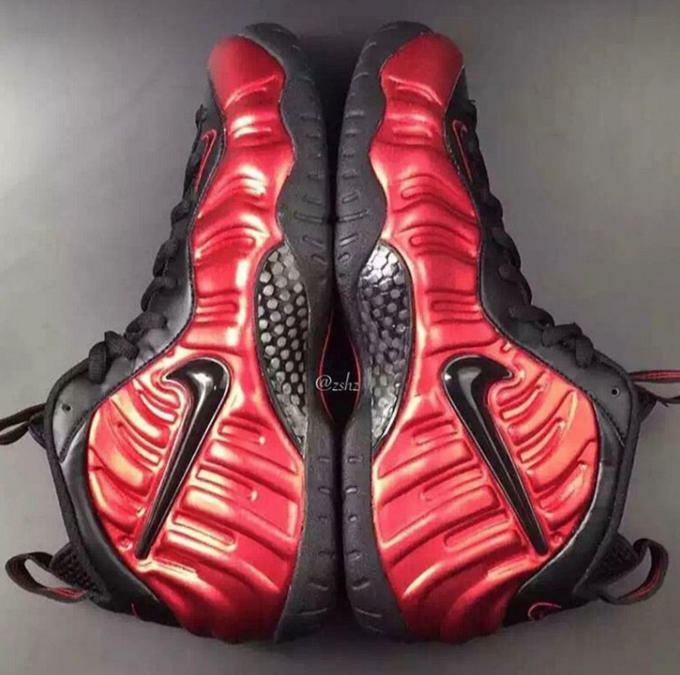 The "University Red" Foamposite Pro drops in April for $230.